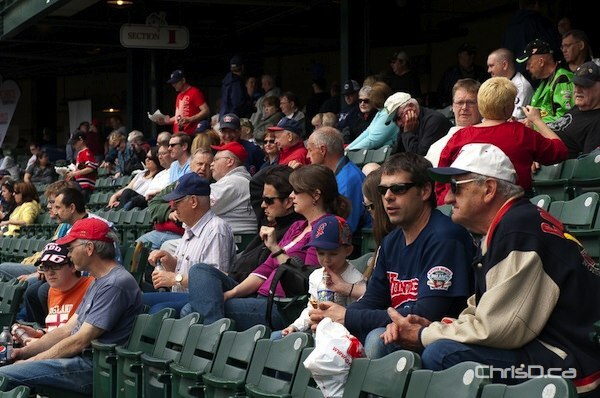 Fans got a look at their 2012 Winnipeg Goldeyes over the weekend, as training camp for the American Association opened Saturday at Shaw Park. About 2,000 fans turned out for the annual open house to see the team up close running drills and practicing for their first game of the year. The Fish open the regular season on the road against the Amarillo Sox on May 18. A series of exhibition games will be played before then against the St. Paul Saints, Kansas City T-Bones and University of Winnipeg Wesmen. Twenty-six players currently make up the Goldeyes’ training camp roster, as manager Rick Forney put his players through several drills in front of an eager audience who came out to the free event. Forney hinted the team may need another left-handed pitcher in the mix, but the team later announced Sunday that Anthony Friesen had been added to the training camp roster. The Fish will have six chances to loosen up and work as a unit in the form of exhibition play this month, with a series of games evenly split on the road and at home. 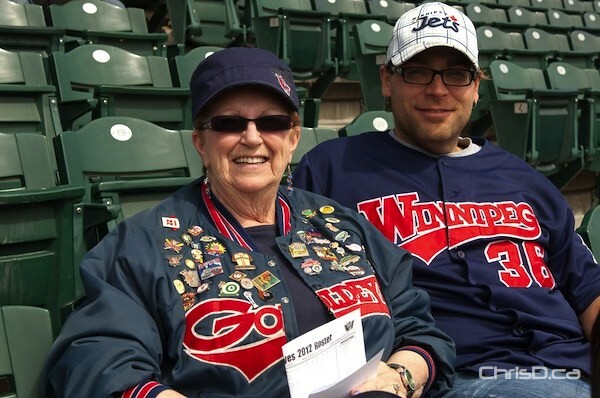 Once the 18th rolls around, Winnipeg will have nine games in a row on the road before returning home for a six-game homestand with the Amarillo Sox and the Gary SouthShore Railcats beginning May 29.